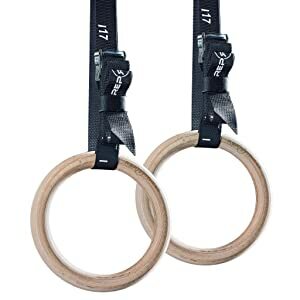 Gymnastic rings are some of the most amazing pieces of equipment you could possibly buy for a home gym. They are cheap, effective, versatile, and easy to set up in a variety of different positions around the room. 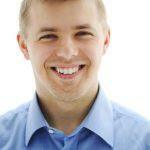 In fact, USA gymnastics coach Chris Sommer calls them the most effective upper body strengthening tool in the world. With very few exceptions, we’re likely to agree: gymnastic training is a staple of CrossFit training, as well as physique and strength training. The Best Materials for Gymnastic Rings: Wood or Plastic? What material is going to be more effective for home gym rings? The reality is that it depends where you’re setting them up. For example, if you’ve got a small indoor gym and want to set up your rings outside, plastic is the way to go. However, if you have the opportunity to set the rings upon a power rack or other indoor feature, we recommend wooden rings. They’re grippier, provide greater durability, and are time-tested. 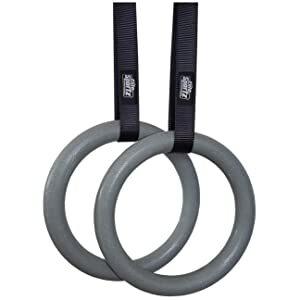 These are also the kind of rings you’re likely to use if you ever get into more advanced gymnastics work or compete in a CrossFit competition. You’re not going to get splinters from them, but you’ll feel the difference if you train on one type of ring and then compete on another. Try to stay specific where possible! Safety/Durability: if you’re going to be swinging from the roof, several feet off of the floor, you need a product that you can rely on. As you’ll see, this isn’t always the case, so you have to look to this quality first before making a purchase. Basic functions: you need it to do the things you bought it for – everything else comes afterwards. A ring that is hard to grip, uncomfortable to use, etc. is simply a bad gymnastic ring. Put the basics first and it’s a good product. Features: as ever, this is a very simple product and there aren’t many features that are going to make it better. A good additional feature – that might set rings apart from competitors – has to be simple, beneficial to the user, and well-integrated into the product. 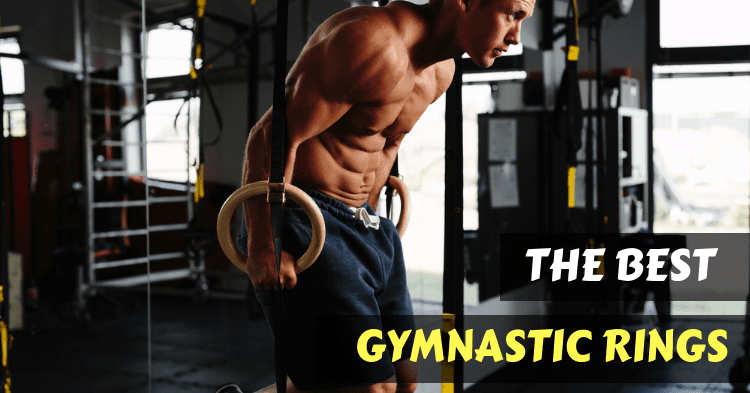 With these three categories set up, we can look at what makes a great gymnastic ring, and which ones are going to be the best choices for your money. As ever, Rogue puts together a well-balanced product. This product sets the standard with huge popularity, functionality, and durability. They come in both standard and gymnastic-competitive sizes, great-quality buckle and strap builds, and great customer service. All-round, we’re expecting this to be a worthwhile purchase. As mentioned above, the use of wood makes it an “indoor” product and it may not be suitable for outdoors. Rogue do product a plastic ring, but we’re not as impressed: the wooden ring is definitely the superior product, though you will need to adapt to your personal situation and setup. There’s very little else to say about the Rogue wooden rings: they provide a great product with plenty of quality, a great reputation, and overall-positive reviews. They’re clearly designed to be used on a Rogue rig, but they will function well on any overhead attachment. If you’re not using a rig, however, you might notice there’s a lot of spare strap – so be sure to tuck it through the additional loops. Rep Fitness gymnastic rings are off to a great start, as you might expect from a dedicated gymnastics equipment provider. 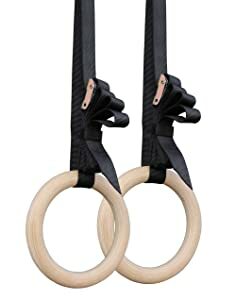 They’re made of a high-quality sanded wood (meaning no hand-pains or splinters) and actually incorporate one of the coolest, simplest features: a numbered strap so you can easily find the right length for different exercises/users. With the choice of 1.25 (CrossFit style) and 1.11 (Olympic regulation size) diameter rings, you get to choose the right ring for your goals. 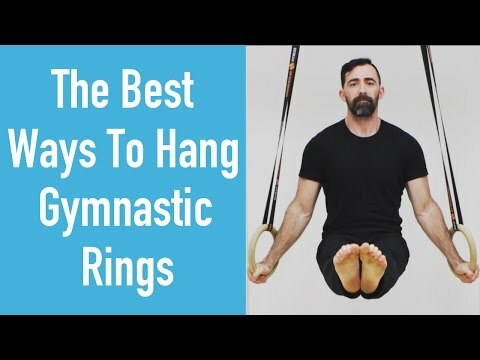 Whether you’re training to take the Olympics by storm, or get your gymnastics tight for CrossFit, you’re in the right place with these rings. Choice is an important factor, so we’re glad to see the increased range. The straps are where we start to become really impressed with this product. The addition of appropriate numbering on the strap itself adjusts and use very easy, with a handy aid for changing the height of the rings. 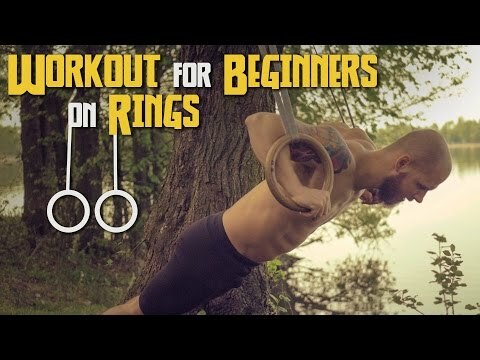 This is useful for switching around between different exercises that use radically different ring heights. We often say that the best features are simple, effective, and well-integrated. The use of a numbered strap is perhaps the best example of a user-friendly addition: it doesn’t complicate the product, it doesn’t take away from all the basic features, and it really does make using it much easier. The final big plus with this product is the addition of a year-long warranty on the rings for proper use. This does mean that you can’t put them outside – but that was obvious already as they’re wooden rings. What this does mean, however, is that you don’t have to worry about build quality since you’re going to be assured of the rings’ replacements if anything breaks. This is a rarity in products like this and is great for both peace of mind and a healthier bank balance! Winning out the “Amazon’s choice” for the plastic gymnastic ring category, the Nayoya rings put together a good challenge to the Rogue equipment. With a great build quality and plenty of strap length, these are versatile and can be put up indoors or outside with the right weather conditions. As a plastic product, they’re going to be more useful outside, but lacking the competitive “feel” that you’d expect from a wooden ring. We’re still fans of the wooden ring, but this trades off for the versatility and weather-resistance that a plastic ring comes with. If you’re using an indoor setup, this product isn’t going to be as good a choice as the wooden counterpart. However, it makes for a great mixed ring for use in both indoor and outdoor settings – even if your climate is rainy and grey. With only 5% negative reviews on Amazon, they come with plenty of great press. However, a few negative reviews note that the buckle is likely to degrade faster than other brands – with a risk of breaking during heavy loading or high-momentum movements. This is obviously a concern if you’re going to be spending a lot of time on the rings! Titan’s rings fit the same “Amazon’s choice” bracket as the Nayoya rings, but for the wooden category. This makes them a much better indoor product but means that they’re not going to deal with the elements well – so make sure you’re using them in the safety and comfort of your home gym. A few reviews demonstrate the consequences of using the wrong rings for your setup – as the rings are likely to “completely degrade” within 3 months if kept outside. This is the inevitable result of using an indoor, wooden-construction ring outside without taking them down/storing them when you’re done. These are a great staple ring and have seen great popularity in their own right. However, reviews do exist highlighting some of the construction problems that the Titan rings run into. These mainly refer to the fraying of the straps, as well as splintering of the rings over time. Combined with the fact that these rings are less finished than others and have a surface that is noticeably “rawer” than others. While the Rogue ring is well-sanded to provide a comfortable grip, the Titan rings seem to be less comfortable – as well as being larger than most other, regulation-size brands. Finally, concerns about the fastening mechanism provide a bit of a problem: these straps are hard to secure and move. This is a problem – especially in combination with concerns about durability and build quality – since you’re going to lose some versatility and increase the risk of damage to the product. 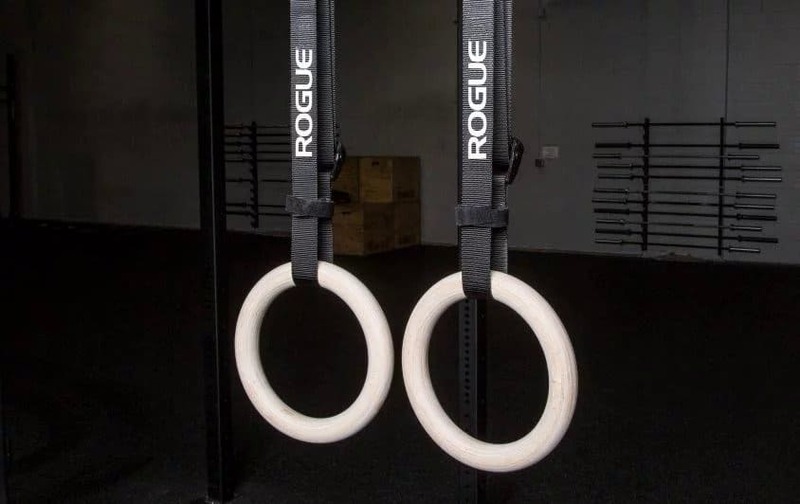 Overall, the Titan rings aren’t a bad purchase, but they are easily out-classed by the Rogue rings on the grounds of durability, usability, and versatility – the most important aspects of a gymnastic ring for home gyms. 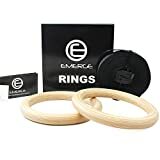 A great, simple ring, the Emerge gymnastic ring lacks some of the features we’ve seen from other brands but ticks all the right boxes. With a heavy duty build and a strong strap, this fulfills all the key functions you’re going to want from a suspended ring. 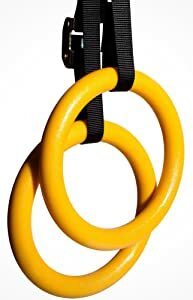 They come with an additional 200lbs of loading capacity above the standard 600lbs strap that we’ve seen in other rings. 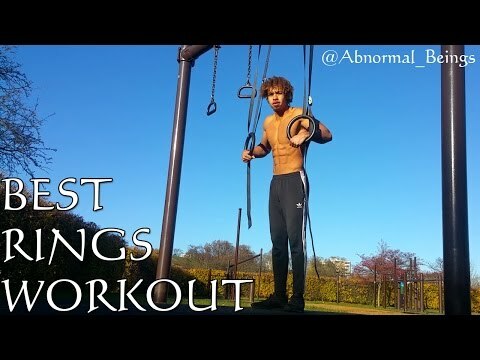 This can be useful if you’re performing weighted workouts, if you’re a large human, or you’re planning on putting a lot of momentum through them. There are, however, some concerns about the build quality and manufacturing practices behind these straps. While the focus of the straps was putting together a strong and durable product, there are occasions where customers have received straps produced from sewing together different cuttings of discarded strap. This is clearly not going to be as strong – it compromises the structural integrity of the ring and is a bad manufacturing process overall. While these issues are resolved – and the Emerge customer service team has very positive reviews – it doesn’t bode well for buying this product. The time and inconvenience it brings are an addition that is off-putting at best. Another plastic ring, these are going to be a main competitor to the Nayoya rings – as the only other competitor we’ve seen so far on this list. As ever, these rings need to be looked at as a hybrid of indoor/outdoor use, so we can get the best idea of their value. The problem that these rings run into, however, has nothing to do with the hardiness of the rings – but the lack of durability in the buckle. The rings themselves are well-textured, durable, and build to withstand the elements. The rings themselves are very effective and have positive reviews, but numerous reviews also highlight that the buckles are poorly-constructed and are susceptible to breaking during use. This is obviously a large concern since the use of this product is associated with real risks if they’re not secure. The buckle seems to be the source of all the problems with this product, sadly. The adjustments to the strap length are difficult, it often chews up the strap material causing fraying of the supporting material and is obviously at risk of breaking. The problems this cause render the product incredibly problematic: safety on rings is the top priority and make this product impossible to recommend! 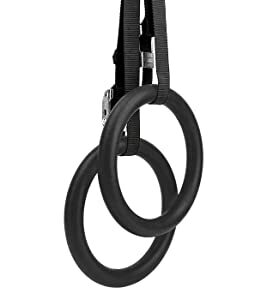 This is even more unusual since the title of this product on Amazon specifically states “our suspension trainer has trustworthy buckles and straps”. This is clearly not the case with the frequency of poor reports regarding the safety and durability of the buckles. The Reehut straps are a great example of how a gimmick should never be put above the structural basics of a product – especially one designed to hold human bodyweight off of the ground! The gimmick itself – of multiple colorways for a plastic gymnastic ring – is actually pretty cool. This makes a lot of sense for a home gym or commercial gym with a strong color scheme. It’s not crucial, and we prefer wooden rings, but it’s a nice touch. The problem, however, is simple: these rings are not effective at holding weight, with poor stitch and buckle quality. Over 10% of customers who have bought these rings complain of concerns ranging from mild durability problems to breaking during use. This is a huge problem since the suspension increases the risk of injury during a fault. While these rings are easy to set up and come with a great price point, they also come with the very real risk of breaking during exercise. This is exactly the opposite of what we want to see with this type of product – and its one of the reasons why we put safety/durability as the top priority in our buyer’s guide. Falling from rings is a long drop! This extends to the rings themselves, too. While they come in pretty colors, the material itself is very low quality and liable to break during contact with other surfaces, fixtures, and even other rings. The safety concerns for this product are even greater than the Elite rings – and we can’t recommend a product that is more likely to break or hurt you than live out its domestic use! Part of the beauty of gymnastic rings is that you can put them up almost anywhere – they are often used outside on trees, or you can attach them to a power cage or even an exposed (sturdy) beam in the roof. This is actually a very easy process: most rings come with a long strap that loops through itself. Simply throw one side of the strap over the supporting structure – whatever sturdy object you decide to use – and pull it down. From here, feed it through the buckle and you can adjust it for the length/height you need. Some other types of rings are attached using a stopper and a loop in the strap. These are less versatile and “fiddlier” to set up, but they are also going to be effective in the same way. You simply need to loop over your supporting feature, then feed the stopper through the loop, then simply turn it sideways so that it won’t be able to fall through. When it comes to gymnastic rings, there’s a clear hierarchy of categories that we need to look at when it comes to smart purchases. The first of these is safety and it’s been made abundantly clear that low-quality products on the market aren’t worth your money or health. It’s also clear that buying the wrong type of ring is an easy way to waste your money and destroy your equipment. 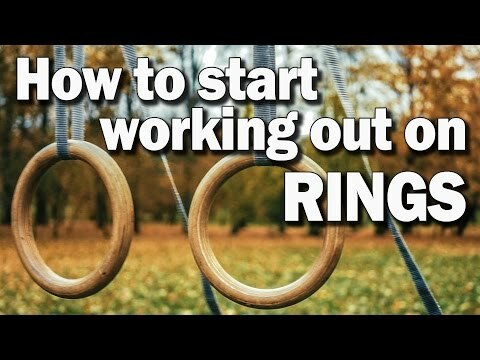 Figure out what you’re using your rings for before you buy them – make sure they fit your needs and gym setup. Wooden rings are preferable, but they come with the limitation of being very susceptible to water damage. Overall, we’re leaning towards the Rogue rings and the Rep Fitness rings. These are two opposing examples of great wooden rings – one with a very strong approach to the basics, and the latter with a great way of innovating on the simple design and making the most of the product. When it comes to plastic rings, there aren’t many good choices on the market with safety issues being rampant. If you’re needing an outdoor ring set, then we recommend going with the Nayoya rings – a simple, effective approach to plastic weatherproof gymnastic rings!